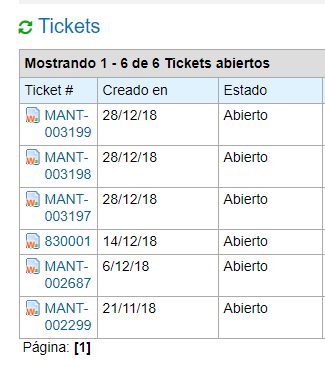 Como por ejemplo ampliar en ancho de la columna de numero de tickets. circa line 39. I would think that you will have to take away percentage in another column though. ntozier puede ser él archivos que te digo? puede ser que sea el archivo ticket-view.inc.php_? ticket-view.inc.php displays a single ticket. So no it does not display the ticket queue. What side of the ui are you trying to edit (User or Agent)? ntozier como puedo hacer para que tome el 100% de la ventana? pero no toma el 100 % de la pantalla con si lo logre hacer en la vista del agente. No idea I've never tried to do that. You will have to look at the page source for the page you want to edit. locate whats settings widths in the css and alter them. The web browser (example: chrome and Edge) likely has developer tools that would assist with that. Should I mark this thread as resolved and close it?